My 14-year-old daughter, Anna, recently asked me how my week was going. “I’ve been busy saving orca whales,” I told her. Well, one of the biggest threats to orcas in the Puget Sound is the decline of their main food source: salmon. And the abundance and health of salmon is directly related to how clean the water is. That week I had been working alongside our corps members—emerging environmental leaders from all over the world—to improve the quality of water in our region. Specifically, we had been building pollution-filtering rain gardens in Shoreline, Washington and removing toxic debris from the beaches of the San Juan Islands. At EarthCorps, we do more than just worry about orcas and our planet—we take action. As our region has grown over the past century, forests and wetlands have been replaced by buildings, roads, and other impervious surfaces. When it rains, the water that flows off roofs and over streets and parking lots isn’t absorbed and filtered naturally by soil and plants. Instead, it drains through gutters and sewers and is discharged directly into Puget Sound. Stormwater runoff carries trash, bacteria, heavy metals, and other pollutants that are killing salmon. 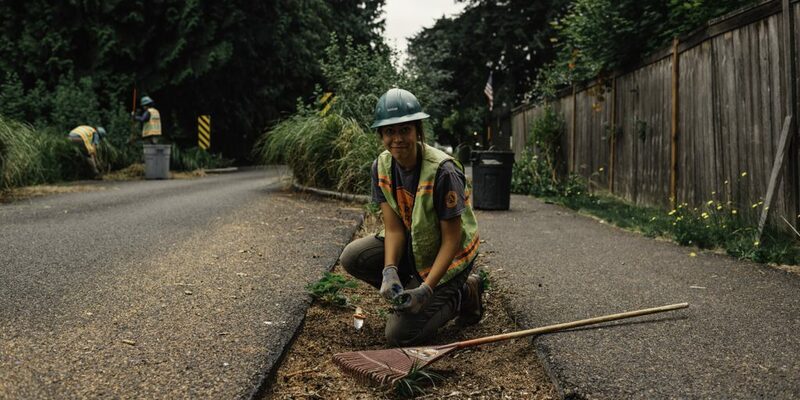 EarthCorps is leading green infrastructure projects to filter stormwater. These projects include bioswales—a type of large rain garden—along city streets. When water runoff flows into a bioswale, the plants and soil breakdown and filter pollutants, and the clean water recharges the groundwater supply. Clean water keeps salmon healthy, and orcas fed. 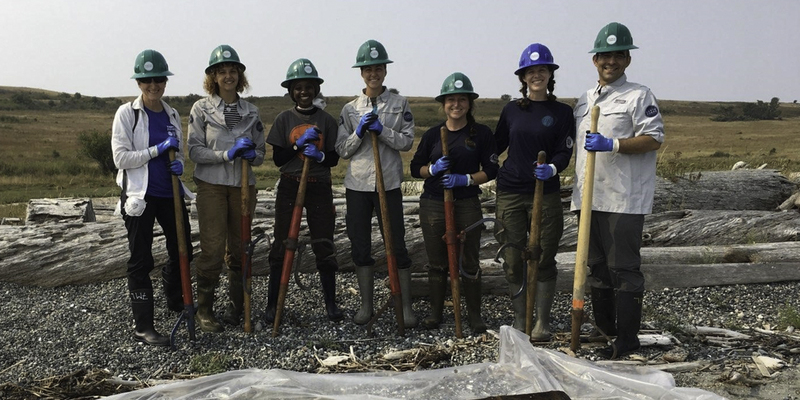 The same week that I worked alongside the crew in Shoreline, I joined EarthCorps corps members who were supporting the Samish Indian Nation in removing tons of toxic creosote-contaminated debris from remote beaches in the San Juan Islands. As part of our region’s development, the shipping industry built piers, coastal cities and towns built docks for recreational boaters, and waterfront homeowners put up bulkheads to create a barrier between their homes and Puget Sound. These structures were often constructed with lumber from local forests that was treated with creosote, a toxic stew composed of dozens of chemicals. As the structures deteriorated, the creosote-coated debris scattered around Puget Sound. The use of creosote is now banned, but the toxic chemicals that continually leach from derelict structures and debris are deadly to wildlife, including salmon and orcas. 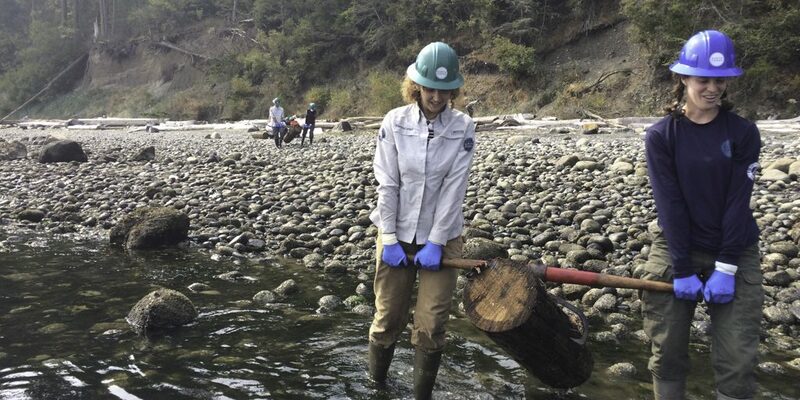 Our EarthCorps crews cleared contaminated logs from the shores of Griffin Bay on San Juan Island as well as the western shore of Lummi Island, where tribal monitors had spotted large amounts of washed-up creosote-coated debris. Working with tribal staff, we used a special amphibious landing craft to identify and remove debris from otherwise inaccessible beaches for safe disposal. The work of our EarthCorps crews has an immediate, significant, and tangible effect on water quality, natural resources, and wildlife in our region. While the plight of the orcas is devastating, I remain hopeful about the young leaders who participate in our corps program and the legacy they are leaving through their service to Puget Sound. Together, we will continue to improve the quality of Puget Sound so our beloved orcas can thrive.